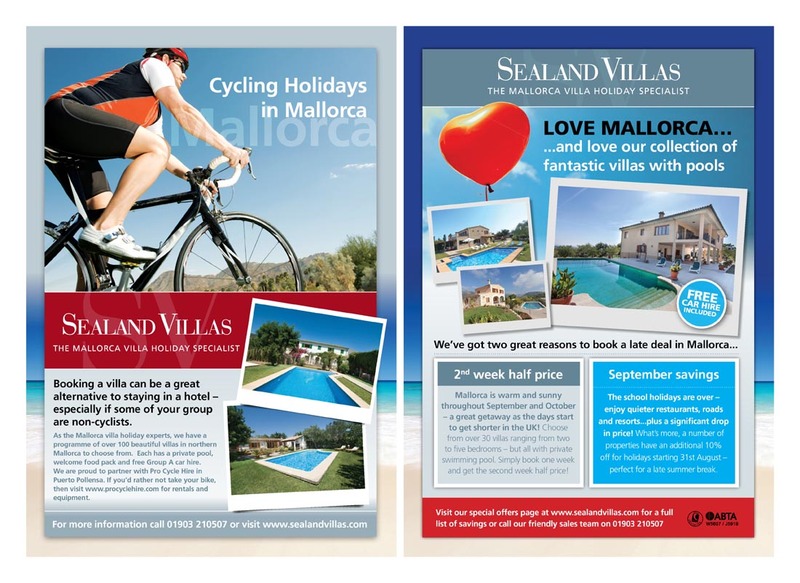 For a number of years Mondo has planned the annual advertising for Sealand Villas to promote its collection of villas in Mallorca. This has been a mix of traditional print advertising and online advertising. The planning involves researching suitable publications, negotiating the best rates and, where possible, securing added value such as editorial exposure. The villa holidays market is highly competitive so, in addition to the usual travel titles, Mondo also identifies niche markets that are relevant for targeting. This has proved successful for helping to sell out-of-season weeks. Mondo has also managed the Google Adwords campaign for Sealand Villas.